The Tenth Man, the agency that was set up by Ken Robertson, the former advertising director of Paddy Power, has picked up the advertising account for FLYEfit, the gym group. FLYEfit currently operates nine locations in Dublin, with two more to follow in the coming weeks. 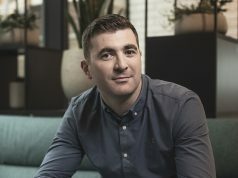 According to Robertson, The Tenth Man will be responsible for FLYEfit’s marketing output, driving brand fame through disruptive stand-out creative across advertising, social media and PR along with supporting its aggressive roll-out of new gyms. “After our first meeting with FLYEfit both parties quickly realised there was more chemistry between us than any Love Island romance. FLYEfit is a cool, ballsy brand that understands its audience and we’re looking forward to making sparks fly with this first piece of creative work and beyond,” he says. “FLYEfit is at a really exciting point in its journey, with an established foothold in the Dublin fitness market and ambitious plans for future growth. 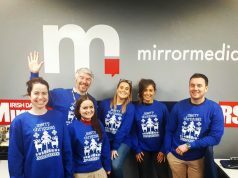 The Tenth Man is equally ambitious, and their creative flair and disruptive approach to marketing makes them the perfect partner,” says FLYEfit founder Brendan O’Hagan. 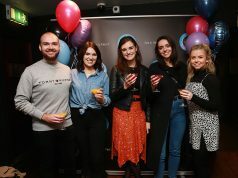 The Tenth Man was founded in January 2018 and this latest appointment marks a busy six months for the new kid on the block having won C&C, Insomnia Coffee and Teeling creative accounts along with FTSE-listed hospitality chain, The Restaurant Group in the UK.